OMG Posters! » Archive Self-Evident Poster by Erica Williams - OMG Posters! 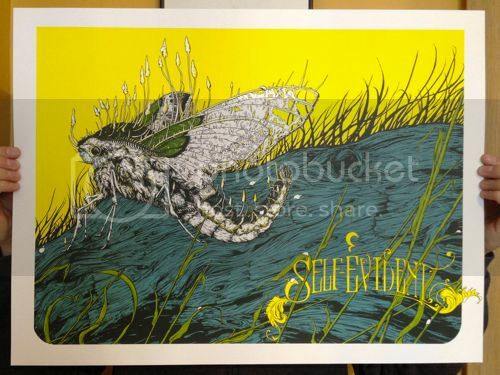 Erica Williams, yet another great artist from Minneapolis, just put this Self-Evident (a band from MN) poster up for sale. It’s an 18″ x 24″ screenprint, has an artist edition of only 15, and costs $30. Printed by Burlesque. Visit her shop.